The storm that was brewing in Yosemite was also gearing up to bombard the Tahoe area. Rain was coming down hard as I drove north on CA-49, and all the passes south of US-50 were closed due to snow. No big deal, just a long drive to get to Kirkwood. Or so I thought. 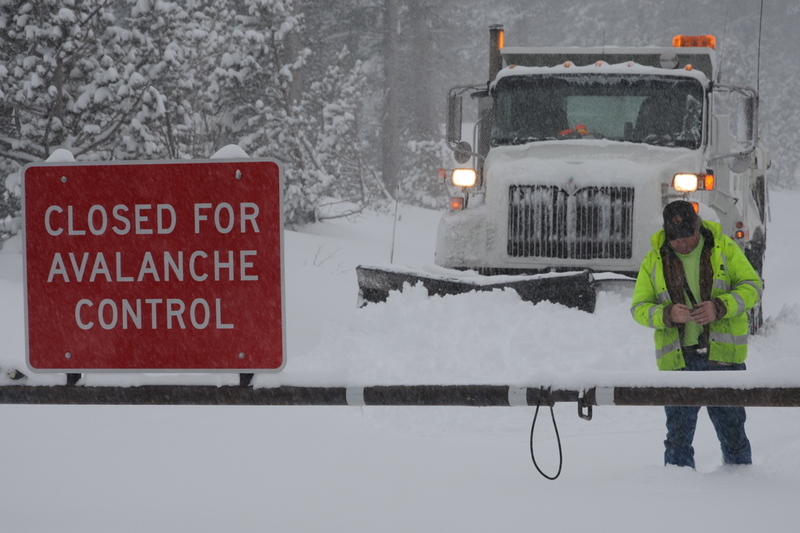 Carson Pass, about five miles east of Kirkwood on CA-88, was closed for avalanche control when I arrived at 2 AM. 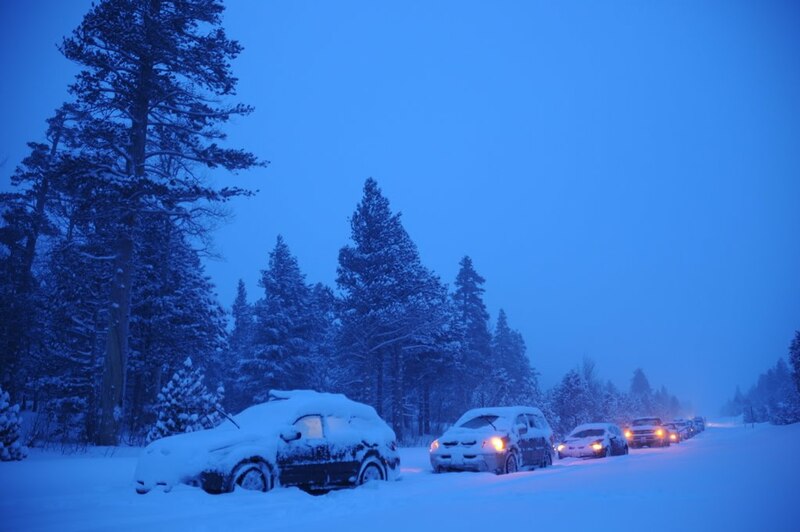 About a dozen cars were lined up at 6:30 AM and mine was under six solid inches of powder. I could hear the avalanche bombs over the pass, so I knew CalTrans was up to something, but I wasn't too optimistic about reaching Kirkwood in time for first chair. Finally, at 7:30 AM, the plows came through and escorted us back over the pass. 16 hours after leaving Yosemite, I reached the Kirkwood parking lot. "Riding the "first chair" on a powder day is coveted by die-hard skiers the world over. Skiers are rumored to camp out the night before at some resorts to ensure they have the pick-of-the-fresh-tracks-litter on their first lap. 36" of fresh snow and a delayed opening due to avalanche control created quite a scene at the gates as people got anxious to head up the mountain. When it did open, there was a lot of snow. A lot. Imagine running through a swimming pool, downhill. 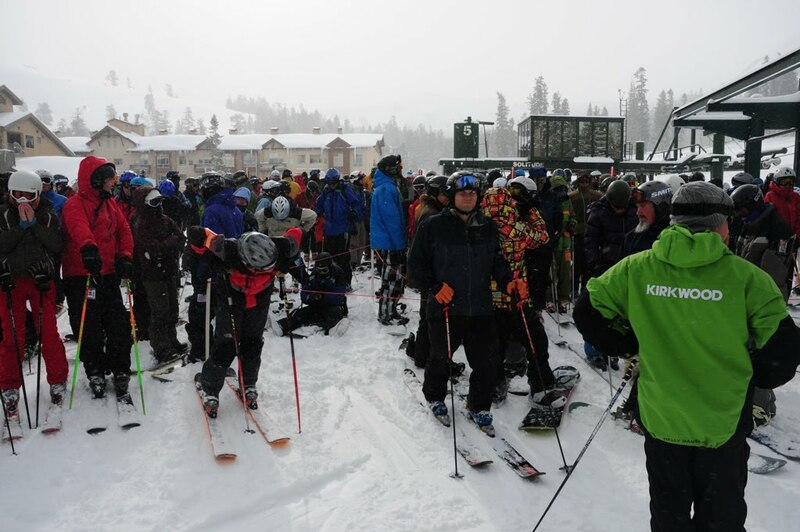 Clearly the snow wasn’t exactly the “Champagne Powder” loved by inland skiers, but it was no Sierra Cement. Either way, it was the most snow I'd ever skied, and it took me half the day to figure out how to make it down the mountain: don't even try to turn.